If I were to sum up the European food scene in Hong Kong, I would say that it is “overpriced” and “not very good”. When you know the right places, you will be able to find a handful of fine establishments which are the exceptions to the rule, but the average standard of European restaurants is much lower than that of Chinese or Asian restaurants in Hong Kong. Unfortunately, Bella Vita is the epitome of this observation. Located a few floors above Mango Tree in Cubus, Bella Vita is run by the same group as Mango Tree and serves traditional Italian cuisine. I have read reviews on their Sunday Brunch, which seems to be quite popular for their seafood selection with fresh lobsters and oysters; however, the Italian cuisine I sampled was substandard. 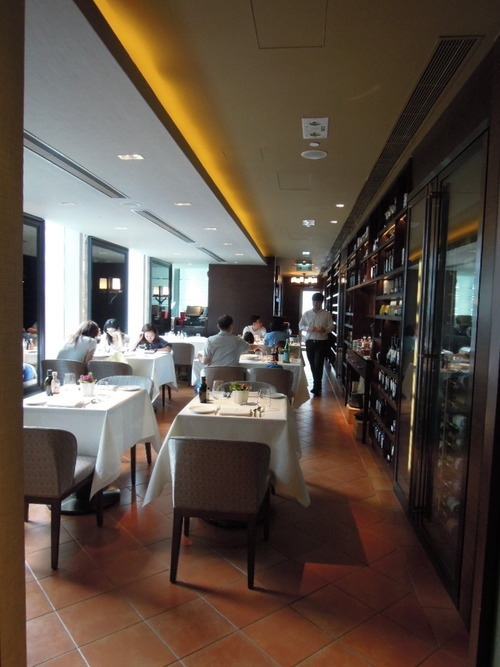 The pricing of the restaurant was definitely high-end, but this was not matched by the setting of the restaurant – even though sophisticated, the space was small and narrow. When I came on a Saturday for lunch, the restaurant was only half full. They were sufficiently staffed, but the service was unenthusiastic and slow. (1) We started off on a high note with the appetisers. 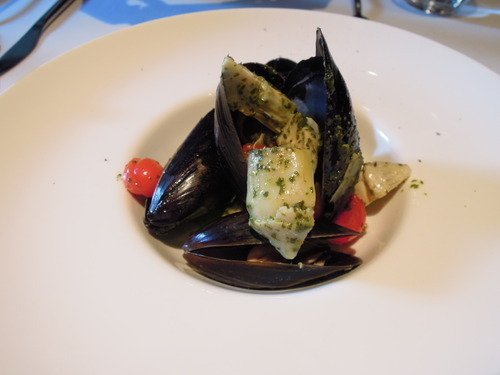 The Artichoke in oil, mussels and cherry tomato with basil pesto sauce was delicious, with big, supple mussels in a well-judged dressing. 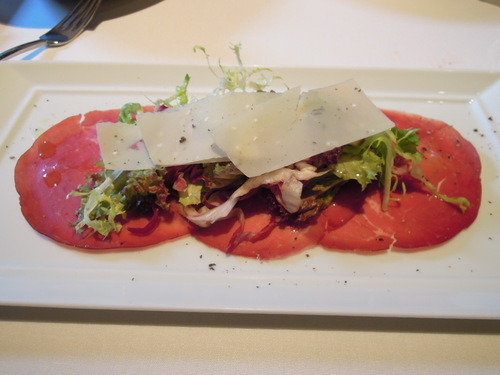 (2) The Bresaola carpaccio with mix salad, sliced parmesan and lemon oil dressing was refreshing: the beef was tender and fresh, and the lemon oil dressing was agreeable. 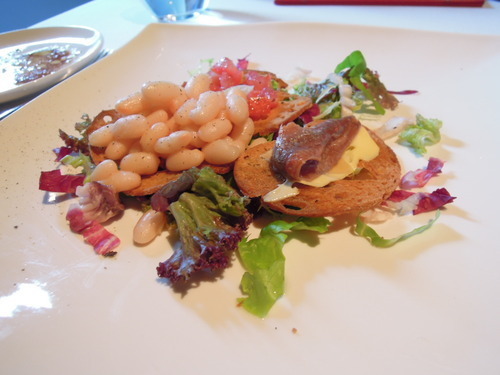 (3) The Mix bruschetta with tomato, cannellini beans, anchovies and butter was also a good summer dish, with clean and light flavours of the tomato and cannellini beans being contrasted with stronger tasting anchovies. (4) The main courses, however, were a completely different story. As I have mentioned before, a good pasta means the world to me, and here at Bella Vita, they really did not get the hang of it. 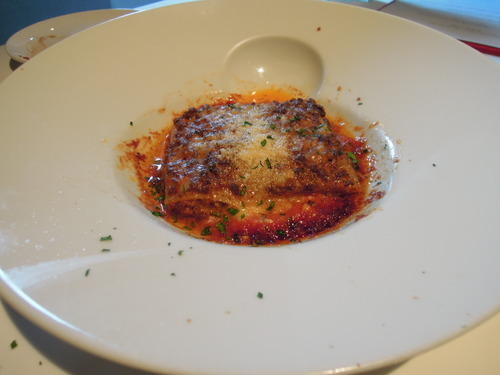 A lasagne is usually a pretty failsafe option at a restaurant, but the Lasagne with Tuscan meat ragout we ordered was mediocre – the taste was all right, but the dish was lacking in substance as there was too little meat and the lasagne sheets were too thin. 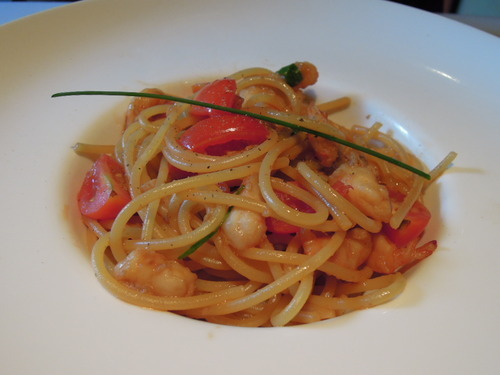 (5) The Spaghetti with shrimps, cherry tomato and rucola, which was recommended to us by the waiter, was a disaster on a plate. The spaghetti was hard as it was not properly cooked, and while the prawns and cherry tomatoes were fresh, the whole dish was wincingly salty! The only reason we decided not to send this back to the kitchen was because it took half an hour for the spaghetti to be brought to us, and we did not want to wait another 30 minutes for a new plate to be cooked. (6) The Pappardelle with ox tail ragout, on the other hand, was tasteless and could benefit from a generous pinch of salt. 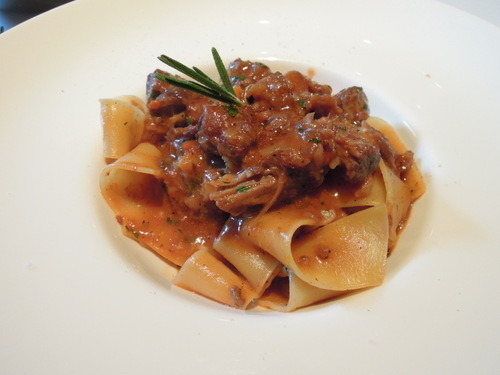 To be fair, the oxtail ragu was well cooked and was buttery soft, but the blandness could not be excused. For these prices we would have hoped for something that tasted slightly better! 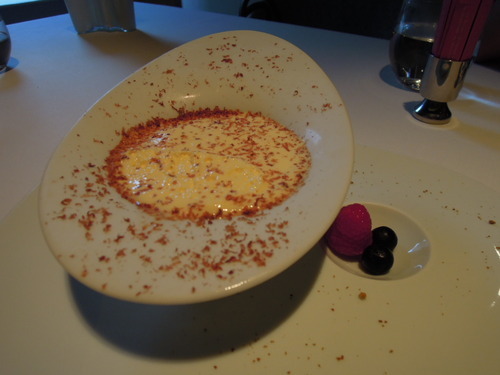 (7) Thoroughly disappointed by the pastas, we were not in the mood for more food, but we decided to give their desserts a try since we would not be coming back to the restaurant anytime soon. We ordered their signature Tiramisu “Bella Vita” ($88), which the waiter recommended because it was made with real mascarpone and because “there was no gelatine added to it” (there isn’t supposed to be any gelatine in the first place!). The tiramisu was smartly presented in a white porcelain bowl, and even though it was on the sweet side, the texture was decadently creamy and smooth, and there was enough coffee at the bottom for my liking. We drowned our sorrows by tucking into this classic Italian treat. 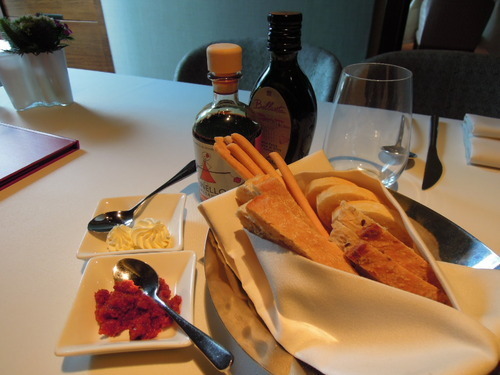 Conclusion: Lunch at Bella Vita costs above $300 per head, and dinner above $500 per head. For the prices they charged, the food was rather appalling. Given that the ingredients were all fine and fresh, the poor execution of dishes could have been forgiven if the service was up to scratch, but unfortunately, that was unacceptable too. Perhaps we came on an off day, or perhaps the restaurant does much better at their Sunday brunches. Either way, I won’t be stepping foot in this restaurant any time soon.